A suitable photo sometimes speaks louder than words. Along with methods of searching and adding images into a chat, we are going to tell you in detail how to save a photo from Telegram into your smartphone or PC memory in order to make an interesting addition to your personal image collection. 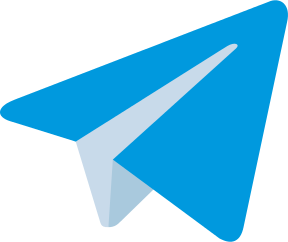 On iOS and Android devices, the developers of Telegram messenger have provided the photo search function which can be used directly during a dialogue. Let us consider how it works on various operating systems. Open a file attachment menu (the paper clip button) in an ordinary or group chat. Select the «Find images» option. Select the «Images» tab in the appeared window. Type the necessary request in a search box. Choose one or several interesting variants from the provided results and tap on the «Send» button. An image will be added in a dialogue window, while a photo will be saved on Telegram cloud server. In such a way, a user will have an access to it from any device. Open a file attachment menu in a dialogue box. Tap on the «Search web» button in the appeared window. Type your request in a search box. After the system finds images, you will need to choose one or several of them and tap on the «Send» button. A file will be added into a dialogue and automatically saved in the Gallery. Type @pic[request] (for example, @pic dog). Variants fitting your request will appear in a dialogue box. Choose a suitable variant by tapping on it. An image with an attached link will be added into a dialogue. If you follow the given link, you will find more similar images in the Internet. Tap on a photo (for iOS and Android) or hold the mouse pointer over it click with a left mouse button (for PC). A file will open in the new window. Tap on the service button (three vertical dots) on the bottom right corner. Select the «Save» option (for iOS and Android) or «Save as…» (for PC). 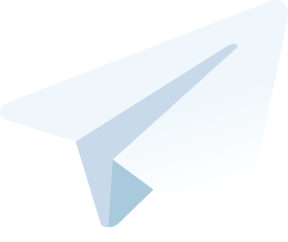 On smartphones, all photos are saved to the «Telegram» folder by default. This folder is automatically created in a photo catalogue. When it comes to PC, it is necessary to locate photos on a hard disk drive by yourself. Make a long tap on a photo (for iOS), tap beside it (for Android) or hold the mouse pointer over it click with a right mouse button (for PC). The method of determining a storage location for such files is analogous to the previous variant. 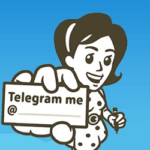 In other words, it is the «Telegram» folder for smartphones and the hard disk drive folder chosen by a user for PC. 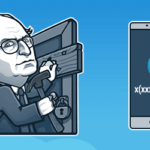 All above-mentioned variants of saving images from Telegram are true for standard communities. As for secret chats, the situation is not different with the exception that you cannot make screenshots. Hi, it’s an easy solution for one photo, but how I can save a bunch of photos received? I’m working in my PC. stefisn, did you find any solution? hi, i have google photos set up for backing up every photo I do. Sadly I shared this morning a photo in a private telegram chat and the photo ended up saved in google photos… how can I prevent this? I WANT google photos to backup my photos, except for telegram private chats….